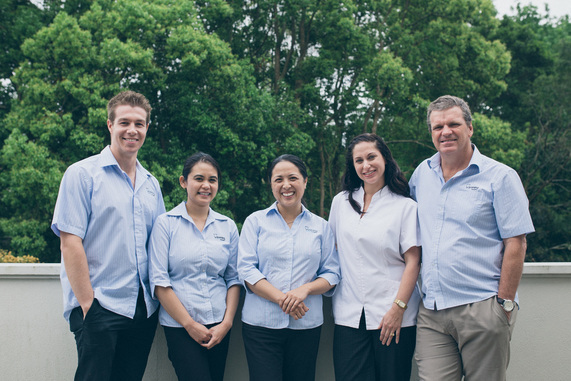 Renwick Dental (formerly known as Wyoming Dental Surgery and Ourimbah Dental Surgery) was established in 1976. From its beginnings and still today, our practice is known for being a family friendly place to visit; with practitioners offering honest, quality work covering a broad range of dental services. We continue to uphold this through continuing education, accreditation and working together as a team who values family and community. Established by Dr Andrew Moran, the practice grew to accommodate other dentists including Drs Andrew Young, Colin Nelson, the late Ewen Gault and Phil Nelson. Some might remember coming to Wyoming Dental Surgery in the 1980s; the simple house on Renwick St where our car park is now. In 2003, Dr Moran’s vision of a purpose built dental facility was opened on the same site. 15 years on, we are refreshing both our accredited practices in Wyoming and Ourimbah. Whichever location you go to, you will receive quality treatment in a modern setting. We have onsite parking, disabled access, up to date equipment and sterilisation practices, digital x-rays and computerised systems. We aim to provide a high standard of hygiene and care for each person. Whether you have been seeing us for many years or are new to the area, we welcome you to Renwick Dental.